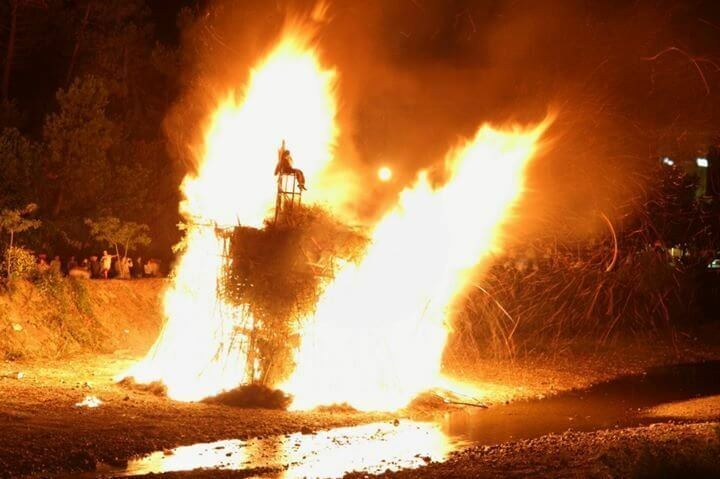 On the first night, there is the traditional bonfire on the beach, where the children of the village, throughout the month, have collected „old stuff“ to burn. On June 23rd, there is a fireworks demonstration and a religious procession, then Candles lit. on the beach and released into the sea, creating a beautiful effect as the lights reflect on the water.